There is one thing on the Popeye's menu that is consistently good and a must-order in my opinion: the skordalia. Expect to reak of garlic the rest of the day, but it's especially tasty stuff. thanks for the tip, might go well with some beers. I do have a kitchen in the place we are staying, perhaps pan frying some brats could always be a fallback if the dining options look dim. Just ate lunch at Popeye's last Saturday. Not too crowded, but then again, the weather was pretty dismal that afternoon. Outside on the adjacent lawn, the Popeye's crew was spit roasting and smoking chickens and pork shoulders, so that seemed like the way to go. Pulled pork and pulled chicken sandwiches were $9 each, with fries or slaw. The taste of the meat (I went with the chicken) didn't completely live up to the aroma of the grills outside. I like my smoked meats smoky & this was more subtle, with too much vinegary barbecue sauce on everything. (Sauce on the side next time, of course - bush league mistake.) Still, it was still a tasty and reasonably priced lunch, with a New Glarus Spotted Cow on the side. Pig and chicken roasted over the lump charcoal was top notch. Large slab of crispy pork skin, and a huge portion. Pork was moist, flavorfull, and perfectly cooked. I am guessing they use an injection marinade as I was picking that up in the pork. The chicken was just as good. I thought the flavor they were getting from their open air pit was great, I like smoked meat, not meat ruined with creosote. Big surprise of the meal was a great cup of broccoli cheese soup. I rarely order this soup out because none live up to mine, but this one was great, creamy, buttery, and just great. We actually ate @ Popeyes 2 days in a row it was so good. Lake Geneva on the surface appeared pretty slim on good food options, but I imagine of someone sniffed around they could be found. We had (1) meal @ Carvettis and it was plain bad. Drinks @ the Grand Geneva were nice. $8 glasses of Basl Haydens, and a million dollar view from the bar next to the Geneva Chophouse. A real nice property. Drinks at the lobby bar with a piano player were just as nice. Ive got some pictures of some meals and might post them, or might not. jimswside wrote: Drinks @ the Grand Geneva were nice. $8 glasses of Basl Haydens, and a million dollar view from the bar next to the Geneva Chophouse. A real nice property. 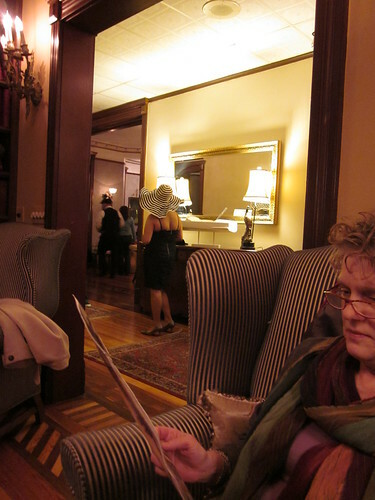 Drinks at the lobby bar with a piano player were just as nice. Having dinner in Lake Geneva tonight. We've previously been to Popeye's, Mars Bar, and to Freddy’s on Lake Como for blue gills and French ticklers. Open to suggestion. With Gilbert's gone, the Red Geranium that I mentioned and linked above would be my top choice in or around Lake Geneva for a dinner. You'd normally need a reservation on a Saturday evening, but possibly not during the off-season. Last weekend, we were guests at Bella Vista Suites in Lake Geneva, which is right on the lake (where, somewhat amazingly, people were ice fishing as the sun melted the lake all around them; we witnessed some sad and frantic efforts to extract fisherman’s shanties from a slowly re-liquefying lake). 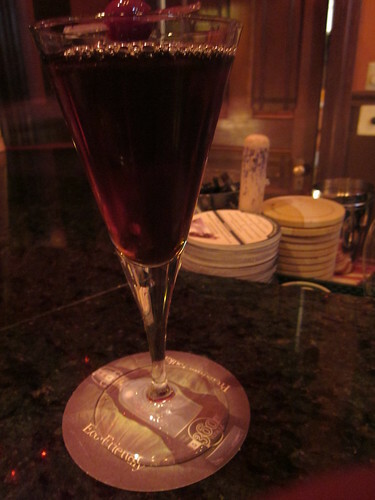 It was a very good Manhattan. There was an especially thick and juicy cherry on top. 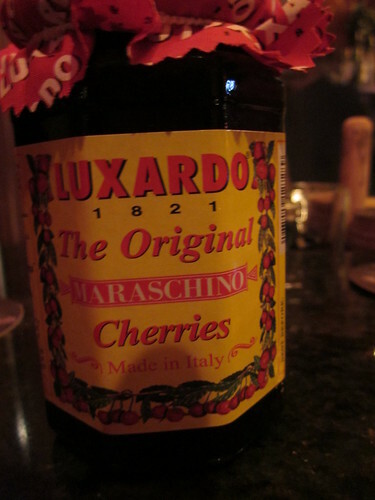 These were fabulous cherries, lush, and with a subtle flavor unknown to the brilliantly red Maraschinos that usually end up in my Manhattans (I tend not to eat the cherry; this time I did). The Baker House is attached to Bella Vista Suites through a connecting hallway, and it’s my understanding that they provide room service for the hotel. Baker is still undergoing renovation, and people eat in the dining room as well as all over the house. 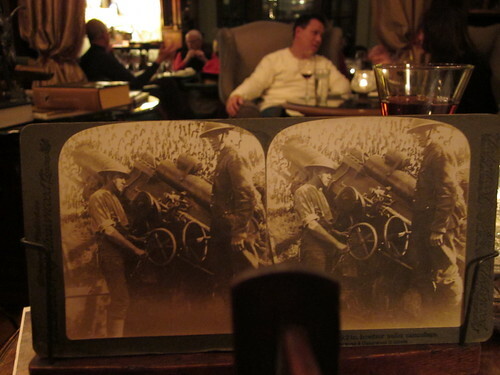 We had a few small plates in the lounge and amused ourselves between bites by viewing a stereopticon library of World War I images. The food seems to be following a trend toward “towers,” where meat or seafood is arranged on a pyramidal metal frame. The Baker House has been open about a month or so. 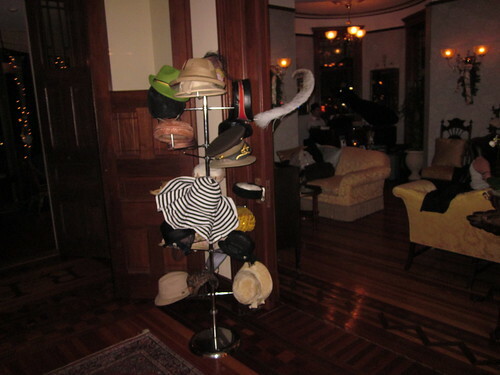 One element I enjoyed: everyone is encouraged to wear hats, and if you didn’t bring one, they have racks all around the house where you can select headgear to wear during dinner (though I always take mine off when eating, not out of any latent gentility but because it feels funny to eat with a hat on indoors). 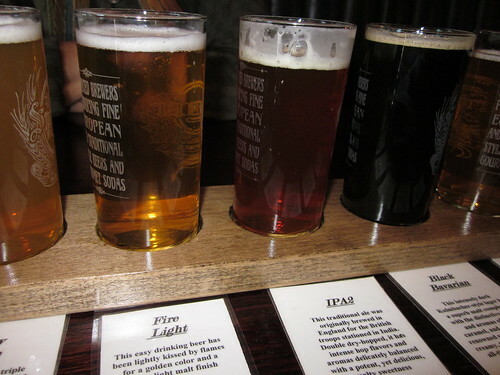 Also of note in the immediate area is the Sprecher’s restaurant, where The Wife and I had salads with a flight of Sprecher’s beer, several of which we liked a lot, particularly the Pub Brown Ale, Abbey Triple, and Black Bavarian. I'm awaiting your definitive post comparing Lake Geneva WI with Geneva Sw.
Last time I ate in the area at the Abbey in Fontana, I was disappointed with their Sunday buffet, as well as their casual bar downstairs. 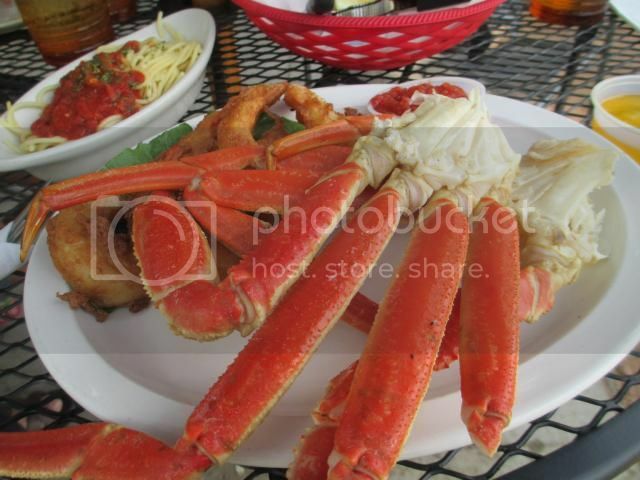 Has anyone been to Heidi's in Delavan lately? funkyfrank wrote: Long time lurker here. My wife and I went to Northwind Perennials yesterday. We stopped in Burlington, Wisconsin for lunch at her favorite restaurant. This is approximately8 miles north of Lake Geneva. I was extremely pleased at the quality of food we had at Wentkers. I had a tomato basil soup followed by a chicken pistachio salad on grilled croissant. The soup had chunks of tomato, bits of vidalia onion, and was not overly season with the basil. It was superb. The fries that came with the sandwich were of high pomme frites quality. My wife had the steak salad(MR to R). Instead of croûtons, it had little rectangles of seasoned potato squares. I would be interested in the opinion of other posters. My family will be drving here for the Friday fish Fry...Baked cod, Fried cod, fried perch, or potato fried shrimp. Had a fun weekend with the girls: spa day at the Abbey in Fontana followed by dinner in Burlington. I chose B.J. Wentker's due to it's proximity to where we were staying and a somewhat interesting sounding menu. It's got a lot of charm with its tin ceilings, original woodwork and tile floors. When I made the reservation, I was asked if we wanted the front room or back room. The front room is where the bar is and has higher tables and chairs. There were two seating areas in the back -- much smaller and quieter with regular tables and chairs. It was the better choice for a group of spa-pampered women. We were drinking wine, so I ordered the Castle Rock Pinot Noir. After a long time (they couldn't find it in the cellar), our server brought an obviously chilled bottle...of Castle Rock Chardonnay. While she went to find the correct bottle, we ordered the bacon and chipotle-wrapped shrimp appetizer which was served with a horseradish-lime aioli in a crispy cheese "cup." The shrimp were nicely grilled and had a nice kick when one bit into a piece of chipotle. Dinners came with soup or salad. The salads looked fresh with good homemade dressings. I had the Manhattan Clam Chowder because I don't see that offered much. It was okay -- a little gritty, but I wasn't surprised by that. For entrees, two of our party got the Lobster (pan-seared lobster tail with garlic butter and mushroom ravioli and vegetable), one got the Grilled Pork Tenderloin (with Calvados apple cream sauce and cheddar bacon twice baked potato and vegetable), another had the Drunken Ribeye (Marinated in beer and brown sugar, grilled, with caramelized onions, on a beer mustard sauce and served with mashed potatoes and vegetable) and two of us had the Scallop Napolean (pan-seared scallops and portobello mushrooms on mushroom cream sauce with “mushroomed” potatoes). One of the scallop dishes was made gluten-free, so no sauce and mashed potatoes instead of "mushroomed" potatoes. The "mushroomed" potatoes were red potatoes carved into a mushroom shape and deep-fried. They were tasty. The rest of the scallop dish was okay. It was somewhat impressive to see: layers of scallops topped by grilled portobello mushroom caps. The scallops were nicely prepared, but the mushroom caps on my dish were burnt and really had no flavor. The sauce didn't have much flavor either, so my gluten-free friend didn't miss much. The other entrees fared better, at least by the bite of each I was able to snag. The ribeye had good flavor and was cooked to a perfect medium-rare. We all agreed they do potatoes well as those of us with potatoes enjoyed them. The mushroom ravioli on the lobster plate was less successful -- it sounded like it could have used more cooking time. We opted not to have dessert. For six of us including two bottles of wine (the correct wine ), it was $48 per person. If I were in the area, I would go back because it was a nice atmosphere and overall decent food. Spent the weekend in Lake Geneva and tried a couple of spots. For dinner one night we had carryout at Tuscan (we have 2 kids, 3 and 1, so we decided to just eat in our hotel room one night). Tuscan was formerly Ryan Braun's restaurant. We ordered a vegetarian pizza and the fried goat cheese salad. I The salad was great, it featured spinach, pears, tomatoes, and a very good dried cranberry vinagrette. The highlight was the giant peices of deep fried goat cheese. Usually versions of this salad have tiny medallions and you run out of cheese before the salad is done, definitely not the case here. You could have a nice bite of warm cheese with every mouthful of spinach. he pizza toppings were very good, a nice mix of zuchinni, summer squash, mushrooms, and caramelized onions (which really were the highlight). The crust was pretty mediocre. It was thin crust but was almost too crunchy/tough. The sauce was nothing specatcular. Overall a decent pizza but definitly room for improvement. The next morning we ate breakfast at Simple. Simply put, this place is a must-visit. They embrace the eat local mantra but the important thing is that they execute the food very well. I had a Korean BBQ Breakfast Bowl which had brown rice, grilled pork loin, spinach, cabbage, broccoli and kimchee and was topped with a fried egg. Only complaint is that two eggs would have been better. It had a nice amount of heat from the kimchee and was a nice change from your typical breakfast fare. I believe they serve Alterra coffee, which was nice. My wife's Eggs Sardou was very good as well. The eggs were perfectly poached and though I would like liked a bit more spice in the creole hollandaise sauce, it was pretty tasty. The second night we were going to go to the Next Door Pub for pizza and wings but the kids wanted to go to the waterpark so we just grabbed a quick dinner at Smokey's in the Timber Ridge Lodge. I am not sure that the pulled pork had actually seen the inside of a smoker and its only saving grace was that they had 3 different Gates BBQ sauces to choose from. The service was awesome but overall everything we had was pretty middle-of-the-road. My wife and I are heading up to Elkhorn Wisconsin to stay at her brother's summer place for the next couple of days. I actually found Simple on a "dog friendly places" website. Do you have any insight into that eatwisconsin? I assume dogs are allowed for outside dining? The locally sourced menu looked really interesting so we'll go whether the dog can come or not. 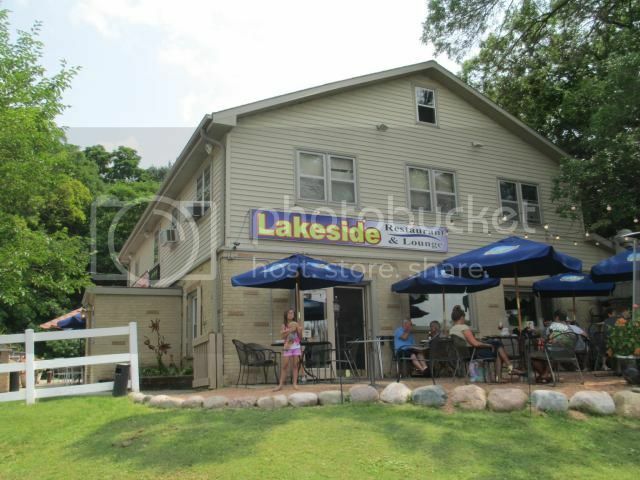 Other places in the Elkhorn area that my brother-in-law recommended were Medusa in Lake Geneva and Duck Inn in Delevan. We'll probably go to the Waterfront in Delevan as well as he said they have a lot of different beer there. We're on vacation this week so we'll splurge a bit to try some new and different things. I'll post a review if we come across anything really interesting. The Duck Inn's menu looks intriguing if you like duck and I think we'll probably try the chef's choice at Medusa just to see what the guy can put out. If those places fall flat we still have our dinner at Primehouse in the city on Thursday for my wife's birthday. I'm on Popeye's email list and just received one today with the month specials. The email mentions that Medusa is owned by Gregory Anagnos, one of the sons of Popeye's founder Nick Anagnos. Nick passed away last year and Popeye's is now owned by the other two sons Dimitri and Michael. 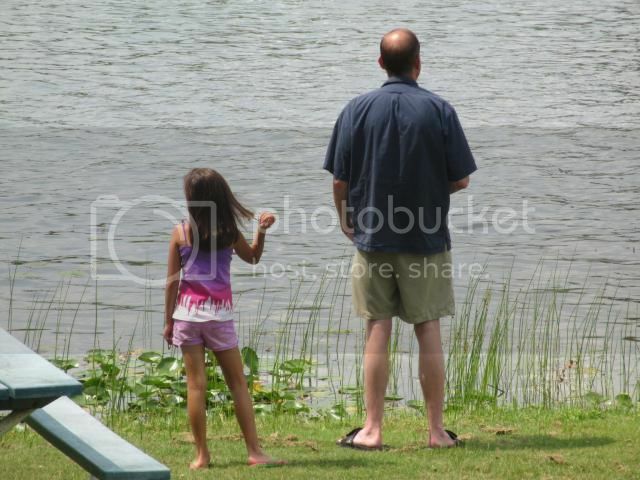 gorack wrote: My wife and I are heading up to Elkhorn Wisconsin to stay at her brother's summer place for the next couple of days. I actually found Simple on a "dog friendly places" website. Do you have any insight into that eatwisconsin? I assume dogs are allowed for outside dining? Yes, they are allowed on the patio. We saw 2 dogs there when we ate there. Some other people also brought their dogs and left them in the car and they were barking the whole time at the 2 dogs on the patio. On the way up we stopped at Lake Geneva Quality meats to grab some brats, cherry breakfast sausgae, bourbon molasses mustard and mini-rye bread. We settled in at the house we stayed at then headed back down to Simple for lunch. As eatwisconsin said, this is a must visit if you're in the area. I enjoyed the spicy shaved pork loin sandwich. This comes served with red and green cabbage sesame ginger slaw and sliced cucumbers. You get a side of simple potatoes with any sandwich. The flavor of this sandwich actually reminded me of a bbq pork bahn mi. The cabbage slaw had a great flavor to it and everything about it just tasted fresh and delicious. My wife had the soba noodle salad which she enjoyed so much she got it again when we went back on Saturday. For dinner that night we went to Medusa's. I had the meat chef's choice and my wife had the seafood chef's choice. The food was decent. Particularly a spinach side that came with my dish was very flavorful. I also very much enjoyed the pork chop that came with my dish. However, the steak that I was served was overdone. I'm not one to send things back typically so I just ate the well done steak that was supposed to be medium-rare. There was also a piece of chicken breast and a fairly mediocre piece of meatloaf. All of the other veggies besides the spinach were a bit too mushy for my tastes. I still ate them but was surprised they present their veggies in such a shabby way. My wife's dish had half a lobster tail, one shrimp, a piece of cod and a large piece of trout. She enjoyed it but felt that the dish had too much trout and not enough of the other components. Our server was very friendly and I really like the music they have playing as I'm a big Grateful Dead fan. But, I really wouldn't recommend this place as the quality of the food doesn't jive with what they're charging for it imo. Still a decent meal but nothing was really memorable about it. 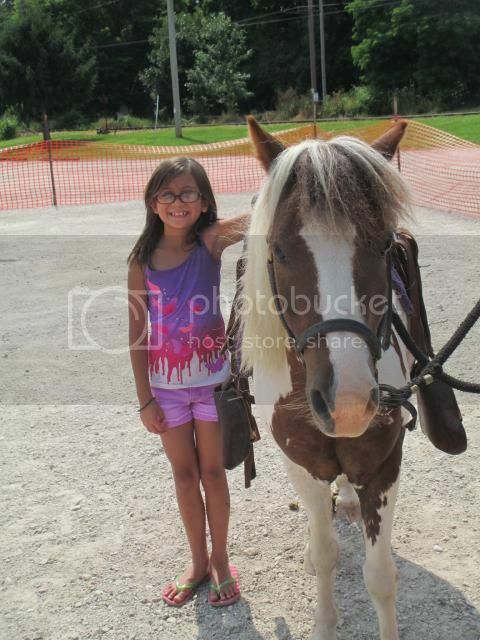 On Wednesday we went to The Elegant Farmer in Mukwonago to get some veggies and buns for our brats. I also grabbed some bison burgers and some thick cut bacon while we were there. We had the bison burgers on Saturday and they were really really good. The bacon was fantastic as well. I meant to go back for more before we left but never got around to it. On Friday night we went to Duck Inn in Delevan which is an old speakeasy. The parking lot was packed when we pulled in and we thought we might be out of luck. But, once inside we were seated immediately. Our server said that the crowd was "nothing for a typical Friday." They do a Friday fish fry and that's what most of the people around us were having. We started with some oysters and escargot stuffed mushrooms. The oysters were a good size and tasted fresh enough. The only thing that struck me as odd was they were served basically room temperature. I guess I'm just used to how they are served around the Chicago area typically on a bed of ice to keep them chilled. Due to the temp I was cautious to smell each one before slurping it down but they were all good. The escargot stuffed mushrooms seemed a bit short on the escargot. I only ate one as I'm lactose intollerant and they were covered in cheese but you just didn't get that escargot flavor or texture really. For our main courses I was going to go with the walleye but because it's prepared with dairy I opted for the pheasant. My wife had the duck sampler. I haven't had pheasant since I was a kid and my dad brought them home from hunting. So, it was nice to not have to spit buckshot onto the plate this time. But, the one thing I remembered about it was that it's a greasy bird, like duck. I figured a place that specializes in duck should be able to make a good version. Unfortunately the pheasant was very dry. The flavor of the skin and the dark meat was good but the breast was just way too dry for my tastes. It came with a very generous serving of stuffing and brown gravy that was good. The duck my wife had was really good. The skin had that perfect crunch with just a thin layer of fat that adds that bit of creaminess to it. This was served with 4 different sauces for dipping. I really liked their mushroom dipping sauce and their cherry sauce. I have a feeling that if I was able to eat the walleye I'd have a lot more positive things to say about this place. The pheasant just wasn't that good. But, I would certainly return to have another duck dish or to try their prime rib. I just wanted to try something different and it didn't work in my favor. On Saturday we did our daily walk of the Lake Geneva historic path along the lake and then returned to Simple for lunch. It had rained early that morning so they hadn't opened their patio. But, when I inquired about having our dog out there they said they would open it up for us. My wife had her salad again and I went with the lemon herbed chicken and hummus sandwich. This sandwich was another winner in my book. The only thing I found odd about it was the amount of garlic aioli they used. With the hummus it just didn't seem to need that extra bit of creaminess to it that the aioli added. But, the flavors were all really good. I think I'd just ask them to go easy on the aioli next time. Overall we had a really good time up there. We intended on eating out more than we did but my wife was really digging some of the things I made for us back at the house so we ate in a bit more. Cool location, shares a parking lot with the access to the lake - you can wade across at this point to an area where folks hang out -pretty neat. Finished out the day with the above mentioned stop at Elegant Farmer, then a pit stop @ the Brat Stop for a chargrilled brat and a last Spotted Cow before heading home. No fried fish this trip, no worried, Ill hit 2 fish frys this upcoming Friday when I am up north again. Had a decent pizza and salad from Rosati's-- bonus, they deliver to Timber Ridge, so I didn't have to wait to have my post-waterpark beer. We had the gorgonzola salad with walnuts, craisins, peppers, and avocado-- very tasty, even in the mixed greens were a bit heavy on the iceberg. Giving this a bump. Mr. Lemoneater and I are looking for dining suggestions, especially dinner, that have good vegetarian options (more than the usual pasta and dairy). A few new data points to answer my own question. First, Baker House only serves dinner during tourist season (which seems to include summer and the holidays), but they have weekend brunch and high tea year around. Second, Oakfire can sub gluten free crust on its pretty decent thin crust pizza. Third, Sabai Sabai (Thai) has replaced Tempura House (Japanese). They are newly opened and experiencing service issues, but the food held up. Finally, and most importantly, the new hot shot is Simple Cafe and Bakery, offering a serious commitment to local producers (especially meats), and creative breakfast and brunch options. They make corn beef in house. I'd like to eat through the menu at Simple.